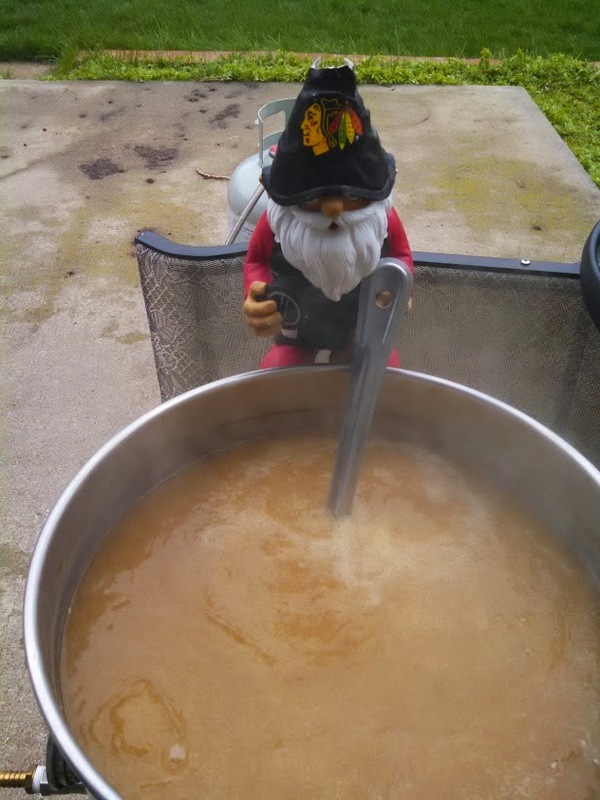 I started the brew day early and had the mash going at about 4 am. Then, I went back to bed. 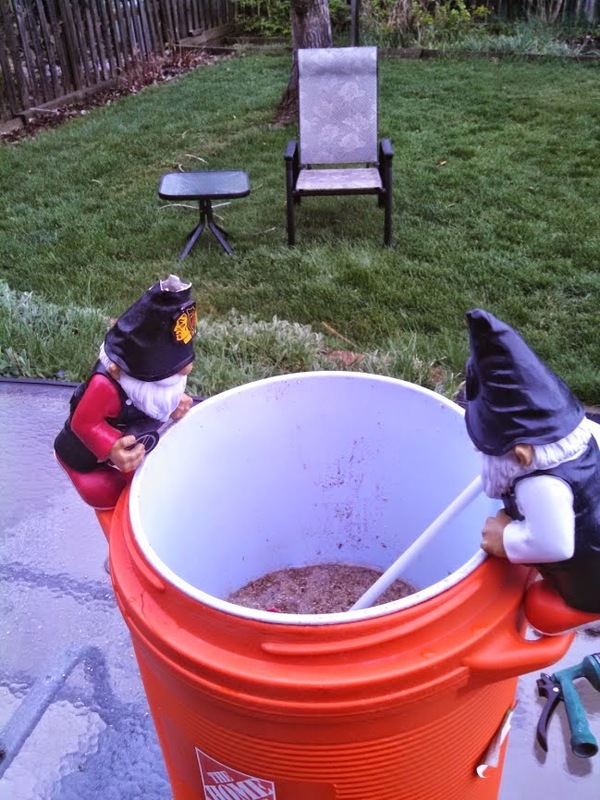 By the time I was back awake and sparging, it was about 7:30. The mash started at about 150 and ended up at around 140. Usually when I do wheat beers, I use a grain sack inside my mash tun so that if there is a stuck sparge, I can easily recover. The past few times, I have not needed it, and Sunday I skipped it. Mistake. 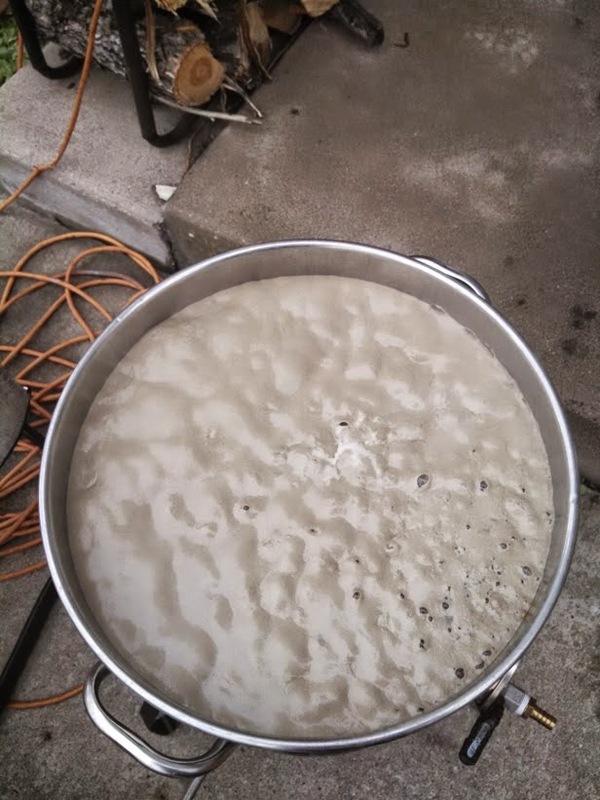 I had a stuck sparge. To recover from the stuck sparge, I ended up scooping the mash out into a grain bag in a pot. It didn't turn out too bad. 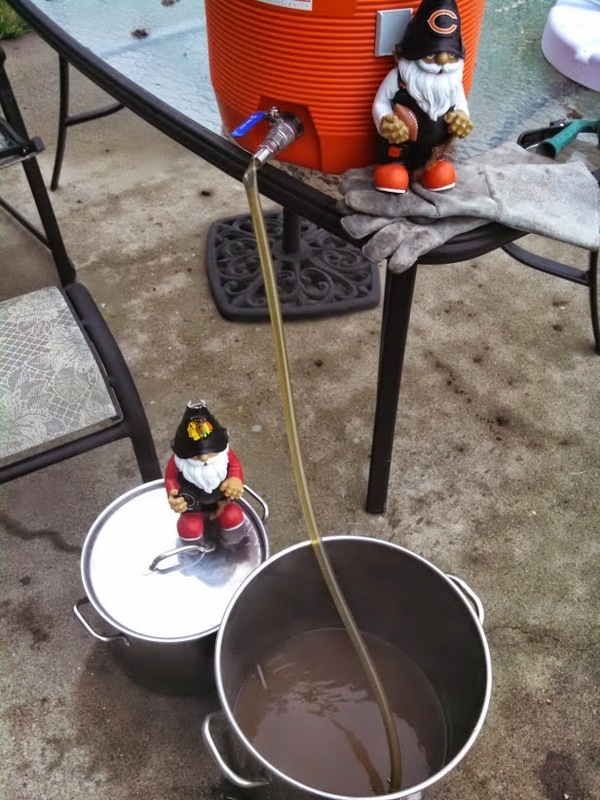 In fact, my pre-boil gravity didn't suffer at all, and was even a bit high. The boil was fine. I remembered all my additions, and the gravity tracked pretty well. I didn't have a whole 8 ounces of honey, so I after the boil, I added what I had (about 5 ounces). At the same time I added orange zest. My OG was a little low at 1.050, but this isn't supposed to be real high in alcohol anyway. It is fine. I ended up pitching at about 66 degrees and let it sit overnight. When I woke up in the morning, the wort was down to around 62 and the yeast was working away. It is still going strong today. There is a pleasant orange fruit aroma coming out of the air lock. Things are going perfectly. My wife will easily be drinking this before mid-May.